In March 2016, our 21-month-old son, Cade, started randomly crossing his eyes. Within a week it escalated from a few times a day to a few times an hour. With some persistence, we were able to get three pediatric ophthalmologist appointments the following week. Thankfully, one of the doctors saw something that the other two did not see – optic nerve paleness. This alerted her to order an MRI. On April 11, 2016, Cade had his first of many MRIs. A brain tumor the size of a baseball was discovered, and our lives were forever changed from that moment. On April 14, Cade underwent a nine-hour brain surgery to have his tumor resected. Thankfully, the entire tumor was removed. 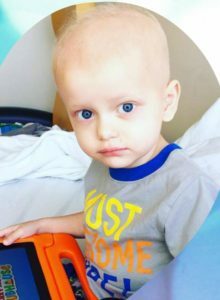 On April 19, the initial pathology report confirmed that the tumor was brain cancer – medulloblastoma. Although the tumor was removed, Cade still needed intense treatment to lessen his chance of relapse. He proved throughout his cancer journey that he is a fighter. Since his diagnosis in April 2016, he accumulated over 10 scars, endured 42 chemotherapy treatments, was rushed to John Hopkins ED at least 10 times, and spent about 100 nights in Hopkins. He has also had 15 surgeries, needed seven blood transfusions, and three platelet transfusions. Cade threw up more times than we would ever be able to count, he lost weight, lost his hair, had horrible mouth sores, the worst diaper rash, but he kept his loving spirit and smile. Cade has had some complications since his cancer treatment ended from a condition called hydrocephalus, which he developed after his tumor was resected. It is an accumulation of cerebral spinal fluid (CSF) in his brain. He had a shunt placed in May 2016 to treat it, but unfortunately a shunt comes with many complications. He’s had his replaced a several times, most recently in October 2017, when he endured 4 brain surgeries in 12 days. Today, Cade is attending the same preschool his brothers attended, two mornings a week. 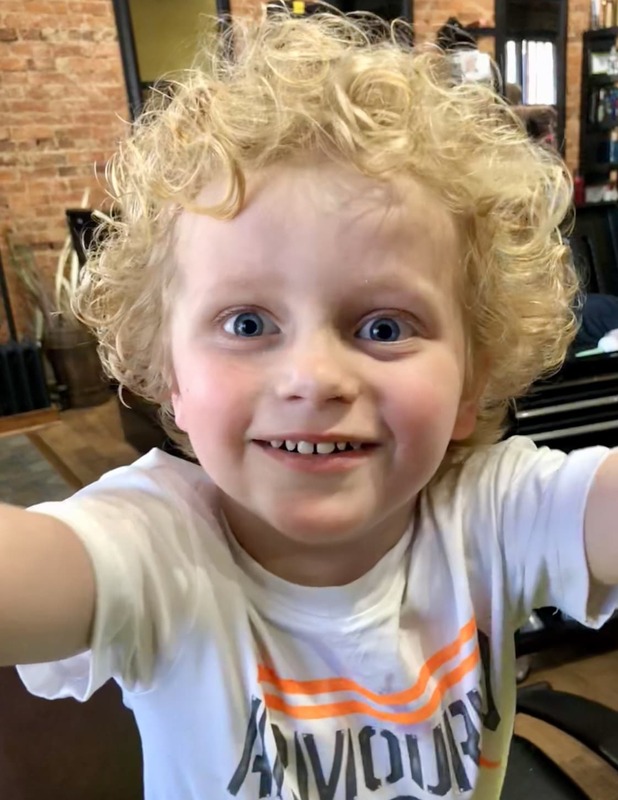 He enjoys going to his bothers’ wrestling matches, soccer, basketball, and baseball games, having playdates with friends, and living the life of a normal, healthy 4-year-old boy. He is “all boy”– loves sports, superheroes, dinosaurs, and has a love for all things Mickey Mouse. He does have a significant speech delay and some other cognitive delays, but with the many interventions we have in place, we are certain he will catch up with his peers. This journey has taught us how valuable life is, to not take a moment for granted, and to look for the positives in negative situations. Cade is proudly representing The Children’s Cancer Foundation, Inc. (CCF) and Giant Food as the 2018 Ambassador.